I am demonstrating in Paducah this week and have been asked several times for a list of my favorite rulers. 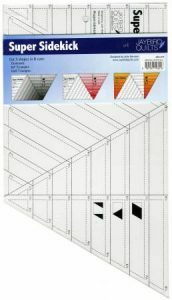 What do I have in my ruler rack besides the Stripology and the CGR24 – 6 1/2″ x 24 1/2″ rectangle? 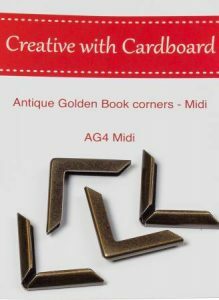 The CGR48 is my favorite ruler when I am sub-cutting blocks or trimming a few half-square triangles. I work with five-inch squares a lot so this ruler is the perfect companion. The white line down the center of the ruler is at 2 1/4″. 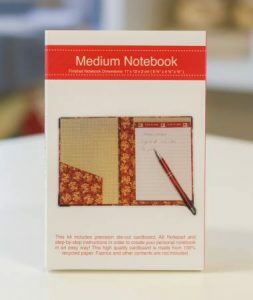 I use it to square up four-patches and is the width I like to cut my bindings. 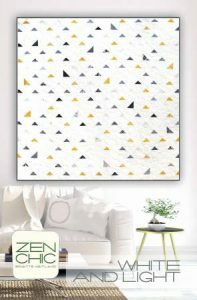 I use the angled lines to trim half-square triangles made from five-inch squares and sewn with a scant quarter inch seam. The CGR312 is 3 1/2″ x 12 1/2″. I just finished a bow tie quilt with over 500 three-inch finished bow ties. I used the centering line on this ruler to square up the blocks instead of a 3 1/2″ square. The length was easier to hold onto and protected my hands from the rotary cutter blade. 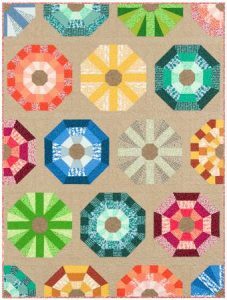 The centering line at 1 3/4″ is also the width of strips if you are making the eight-inch log cabin blocks with the Log Cabin Trim Tool – an added bonus! 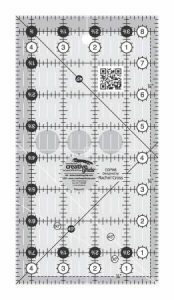 And then there is the CGR212 – the 2 1/2″ x 12 1/2″ ruler. Once again I like the added length to protect my fingers when squaring up blocks to 2 1/2″. But my favorite feature? The centering line at 1 1/4″. I use that line to cut 2 1/2″ strips in half when making four-inch log cabins with the CGRJAWMN4 or mini pineapples with the CGRJAW3MINI. 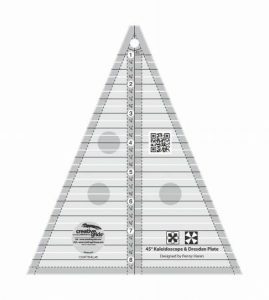 What rulers are your go to rulers – and why? 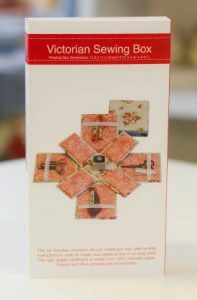 Paper-piecing has become main stream and it is due to designers like Cindi McCracken. 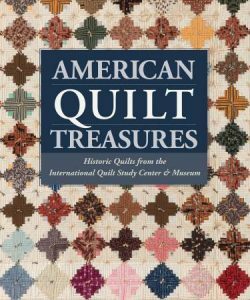 She has shown a new generation of quilters that accuracy and precision are easy to achieve. Any of her new releases would be great classes to introduce your customers to this technique. 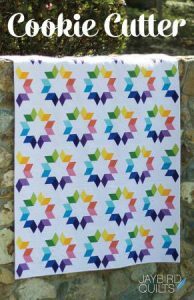 All of the patterns include the paper-piecing foundations and since they are repetitive designs, your students can actually finish an entire block in class. 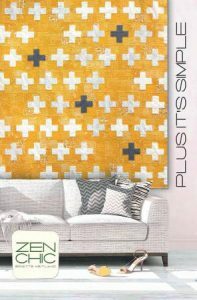 Each pattern also features an awe factor. 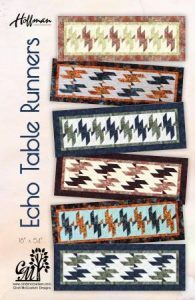 In the Echo table runner, the blocks can be placed horizontally or vertically to create totally different looks. Have your students complete a block and run color copies of it so they can play with block placement. 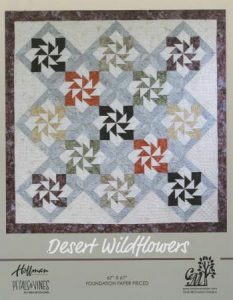 Desert Wildflower is set on point – another opportunity for a teachable moment. 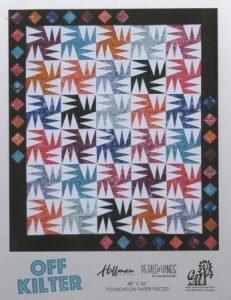 And look at the pieced border on Off Kilter – a two for one learning opportunity. 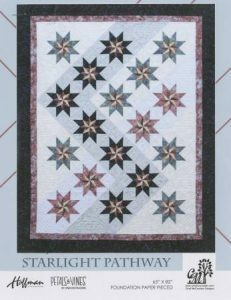 And look how modern Starlight Pathway looks because she created a secondary pattern with the background fabrics. 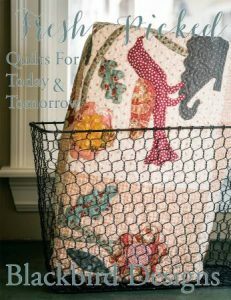 These patterns are all due in by the end of the month. 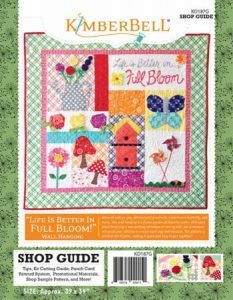 As I am writing this, Elizabeth Hartman has the TOP SELLING patterns at Checker – and another eight in the top 100! That HAS to be a record. 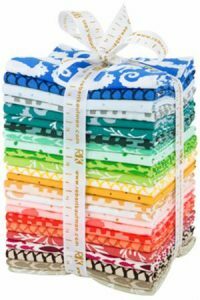 Her latest releases are created with her new Reef fabric line by Robert Kaufman. These fabrics are just plain happy! 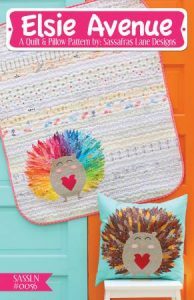 These pieced urchins are just plain fun and made with a 45-degree ruler – and Creative Grids® just happens to have that! I love everything that Sassafras Lane does – and this Market is no different! They bridge the gap between the traditionalists of my generation and the sassy style of theirs – and they do it beautifully! Check these out. Clay Court is a wonderful study in color. 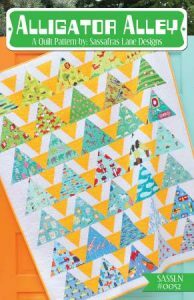 Piecing the triangles out of 2-1/2″ strips adds texture and the triangles are created with the Perfect Square and Perfect Rectangle Ruler. Alligator Alley is done in this generation’s version of a blue and yellow quilt. Sixty-degree angles never looked so good! 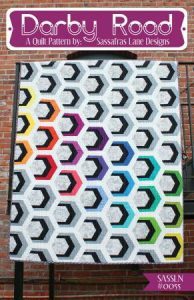 Darby Road looks like a funky hexie and is actually paper-pieced so it is simple! And who wouldn’t love to adopt Elsie? 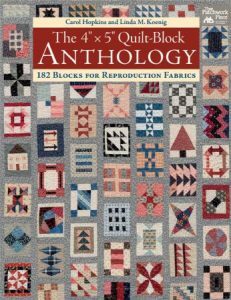 And the next time someone tells you to – Just Focus – make them this quilt! 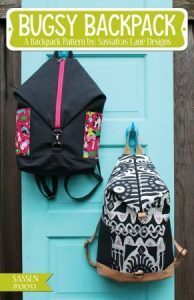 Look at the detailing on this Bugsy Backpack! Talk about a fashion statement! 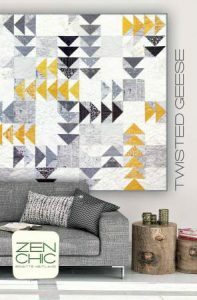 All of these patterns are due in the middle of May – just in time for your Market event! Let’s face it! 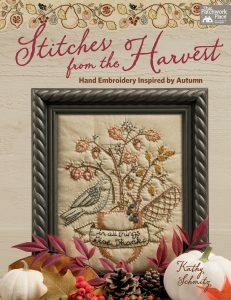 You already know who will want this newest book by Blackbird Designs. 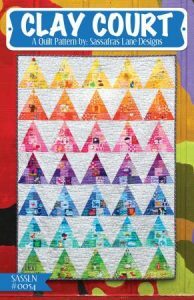 This applique quilt looks like it came right off of a bed in a prestigious museum. These large blocks are actually easier than they look! 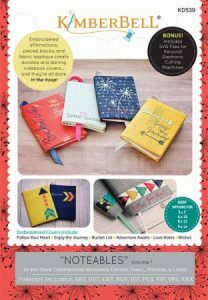 Jaybird Quilts new Cookie Cutter pattern features her Super Sidekick ruler. 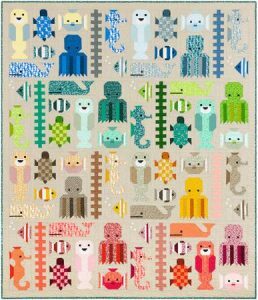 What a fun and happy quilt! 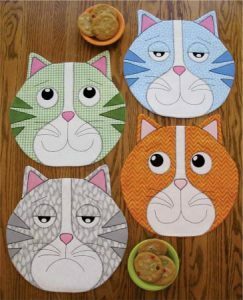 Susie C. Shore has a new cat design that is sure to please all of those cat lovers as well as a darling Christmas table runner. 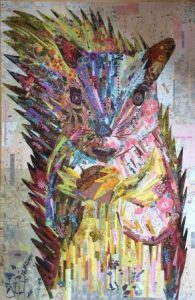 All of these projects are created by proven designers who have produced top sellers over and over again – which makes all of them no-brainers. And, once again, they will be available this month! 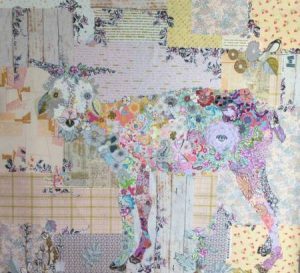 As I am writing this, Laura Heine has 13 patterns in the Checker 100! 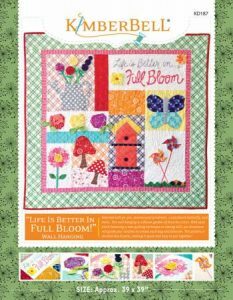 To see all of Laura’s patterns click on this link to visit our website. Laura has three new releases that will be arriving any day. 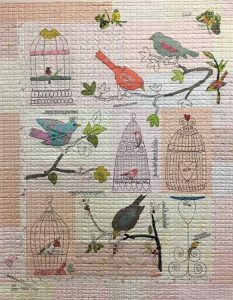 Welcome Billie, Chirp, Chirp and Hazel Nutt to her line of top selling patterns. All of these would make great classes. Why not pre-order yours today? 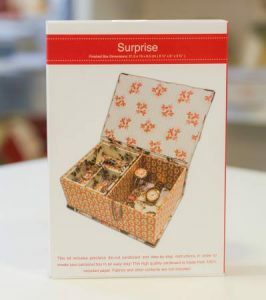 Rinske Stevens Designs provides everything you need to create heirloom quality covered boxes for every room in your house – and every occasion! 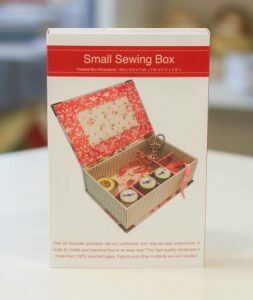 Or make a collapsible Victorian sewing box or journal cover. 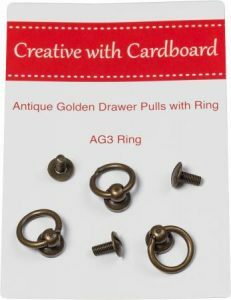 What makes these special is that they also sell the hardware to give each piece that heirloom quality look. 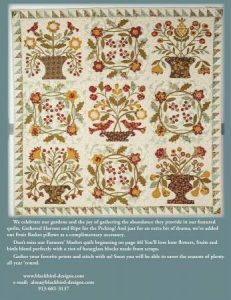 Can you imagine featuring embroidery designs on these projects? 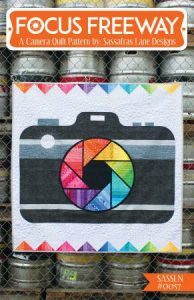 What a great wedding gift, Mother’s Day gift – you get the picture! Visit our website to see the entire line of Rinske Stevens Design products.